The most influential German business researcher Eugen Schmalenbach already stated that it is important for scientific researcher not to loose track to real life issues. I consider it as important; therefore, to do active outreach activities to foreign firms in Japan. 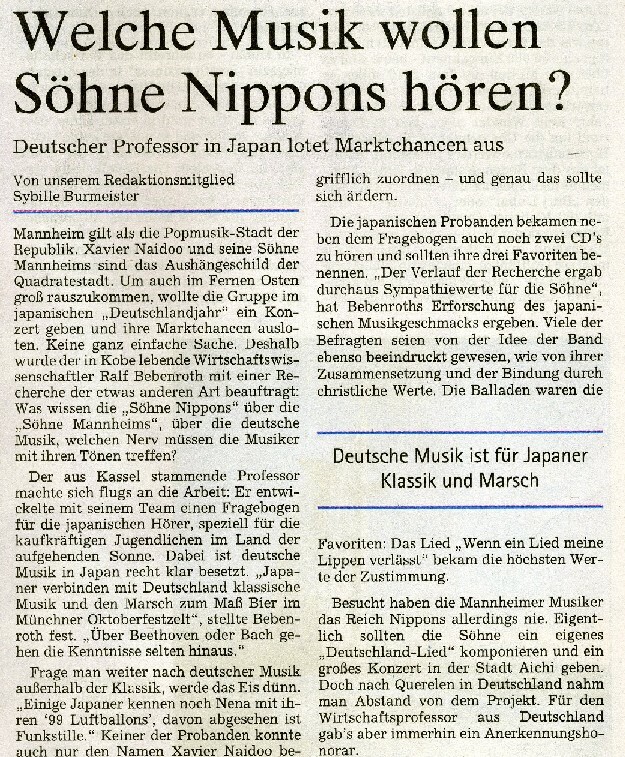 As I am native German, naturally, I try to support German firms in Japan, especially at Kansai area.